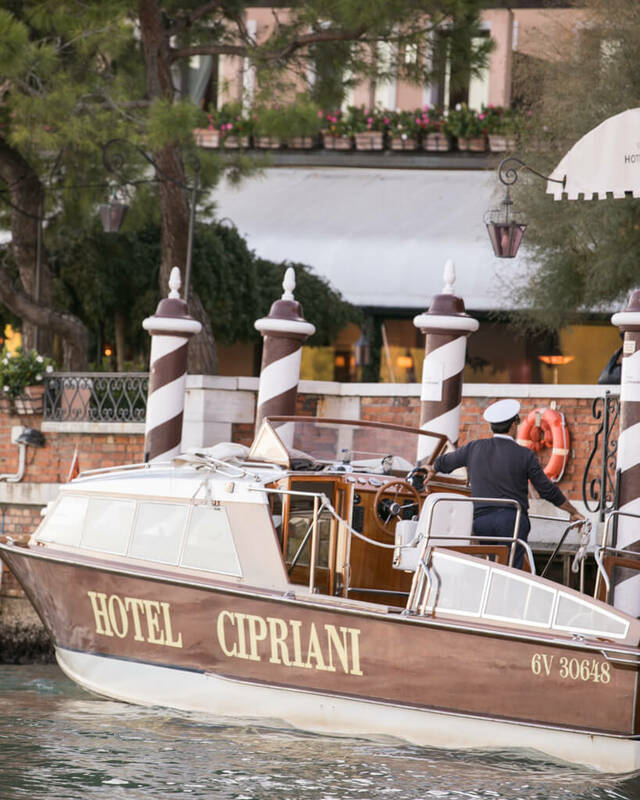 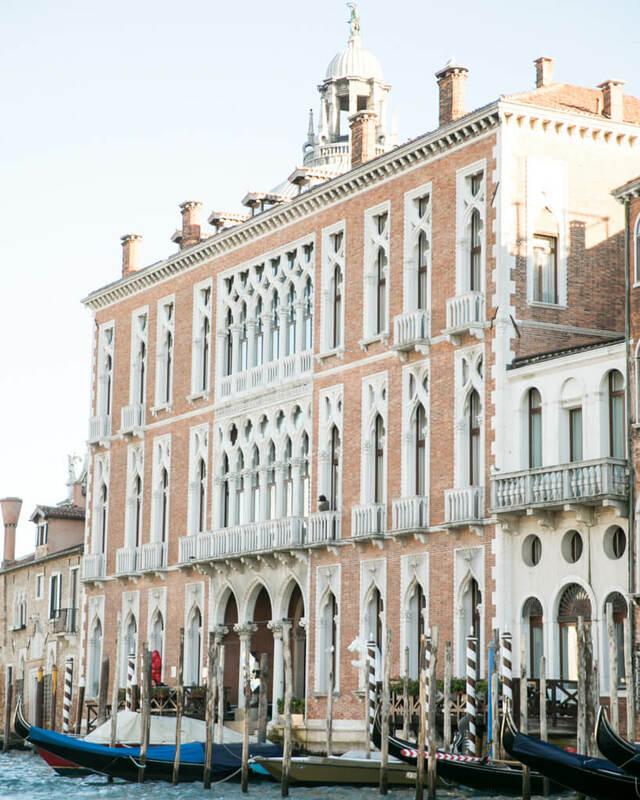 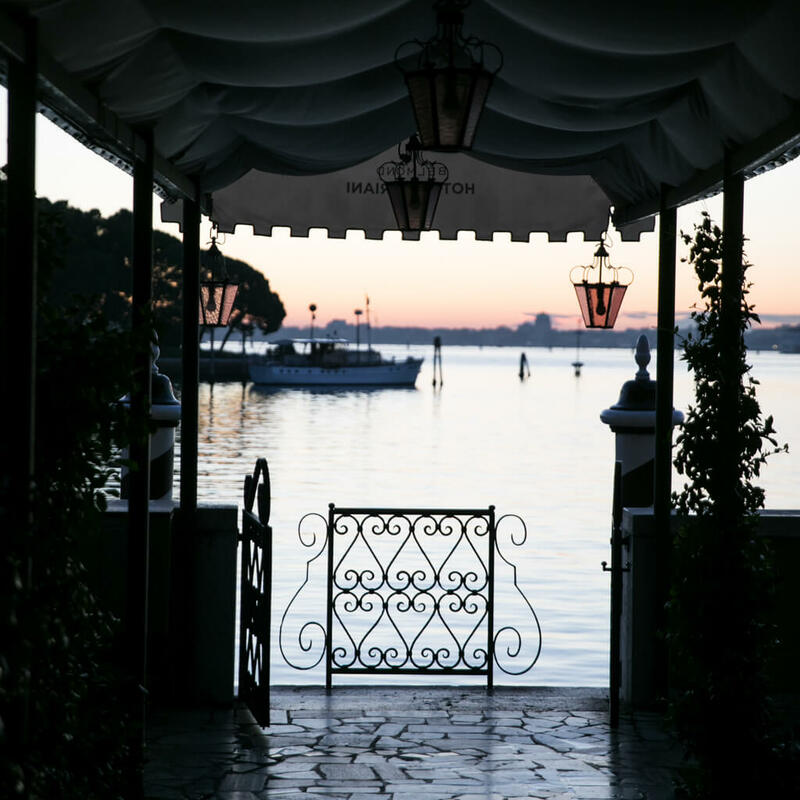 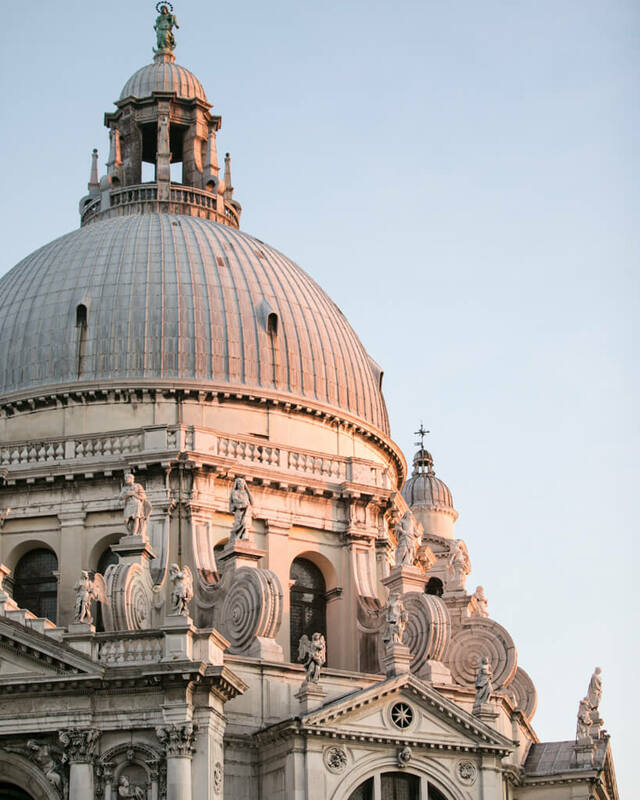 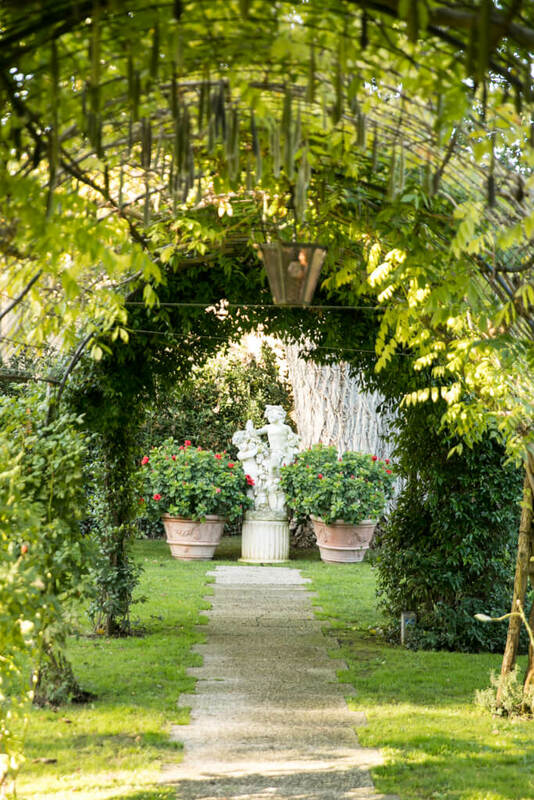 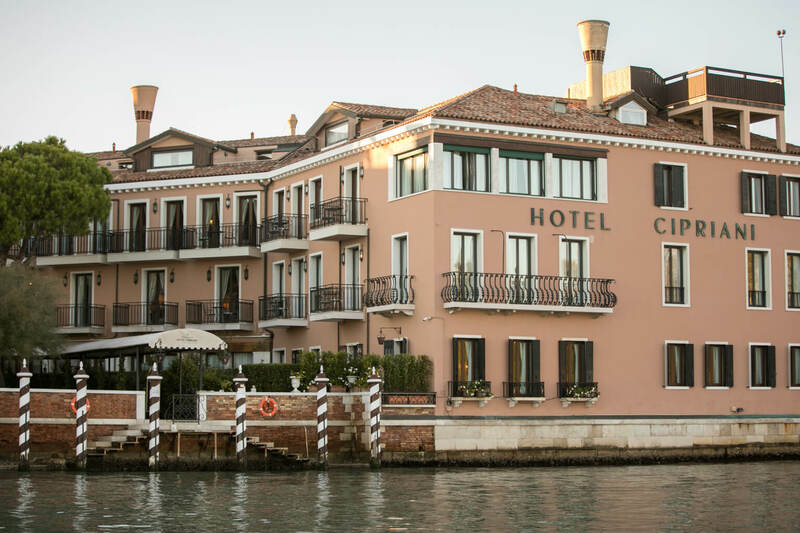 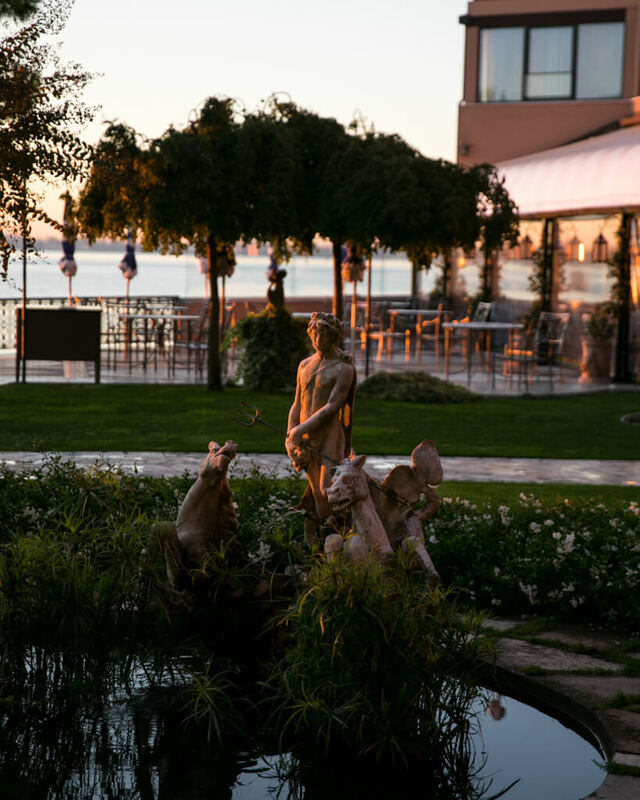 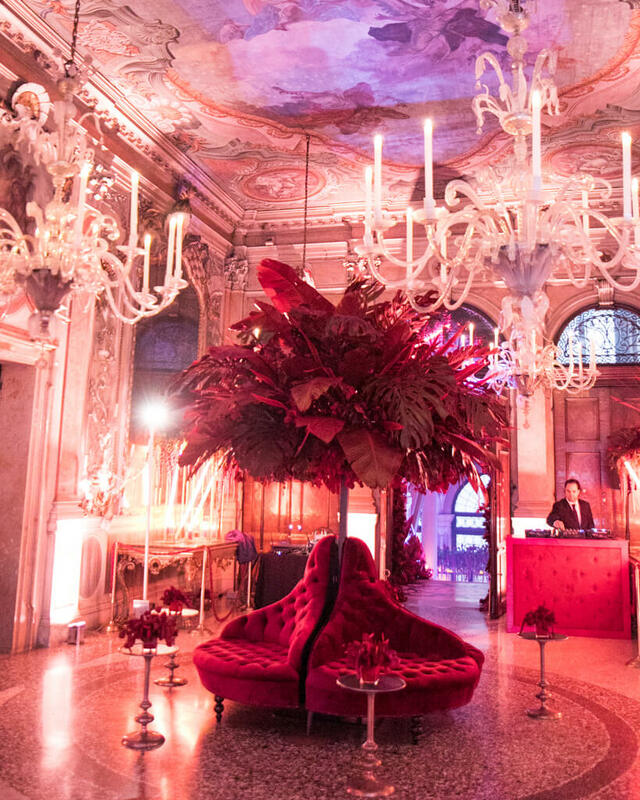 Gathering during a week in October, 200 speakers and attendees visited Belmond Hotel Cipriani in Venice, Italy to attend the Engage!17 conference. 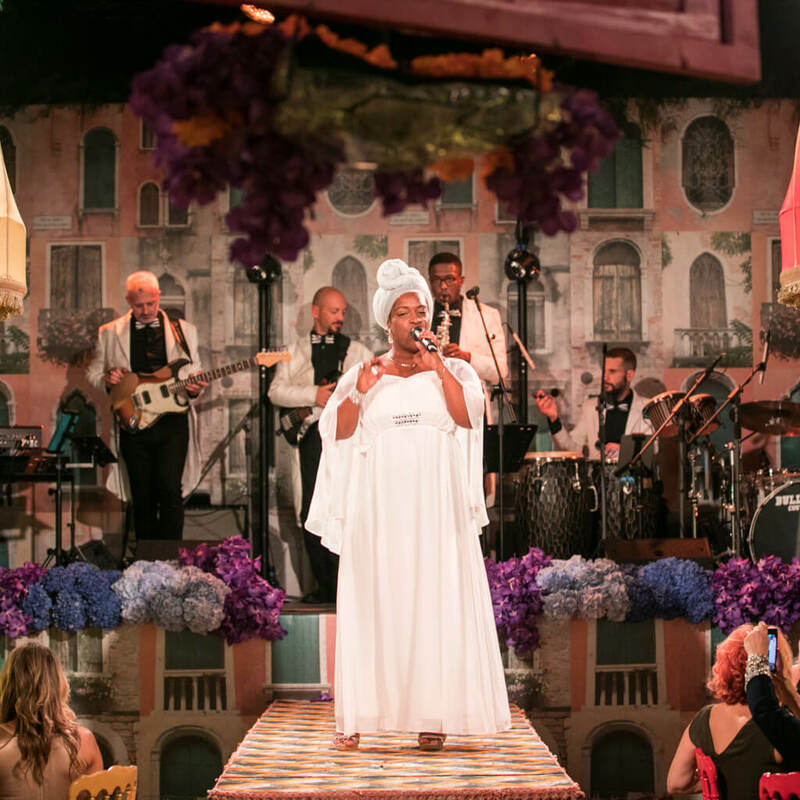 The “Luxury Wedding Business Summit” invited industry professionals to inspire each other with new ideas, business practices, and trends. 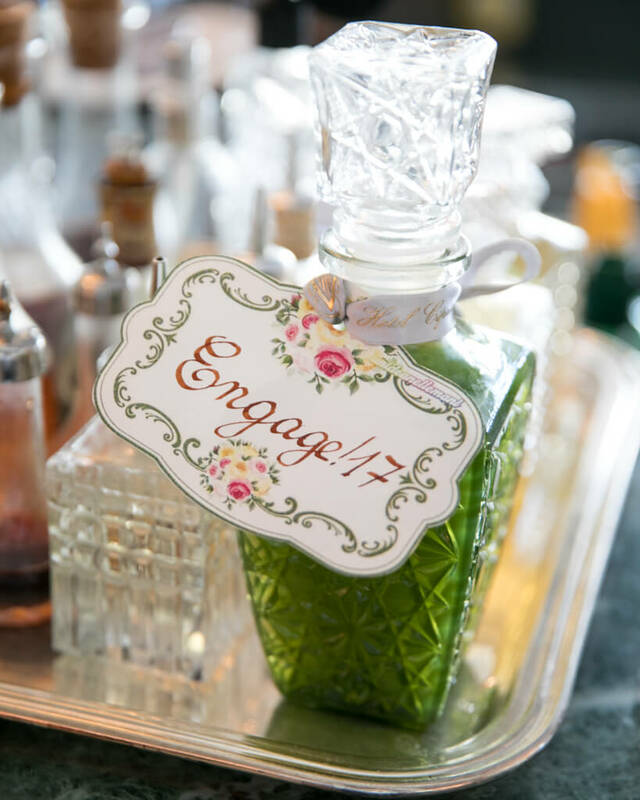 From celebrity planners and luxury lifestyle experts to creative entrepreneurs as well as international media outlets, Engage! 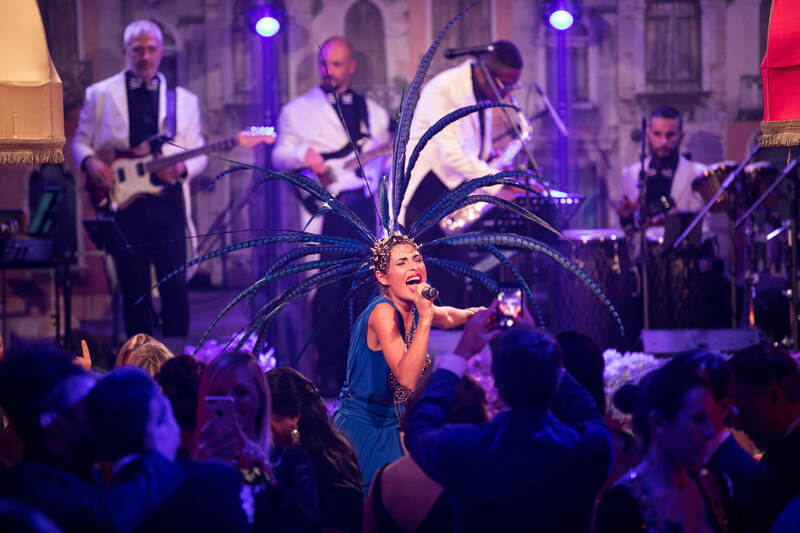 attendees were provided with countless networking opportunities with wedding talent from around the world. 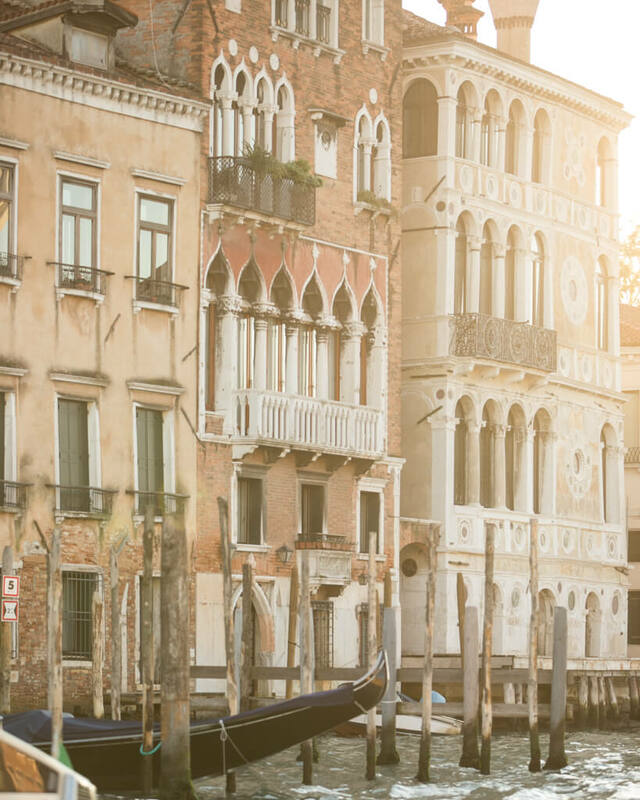 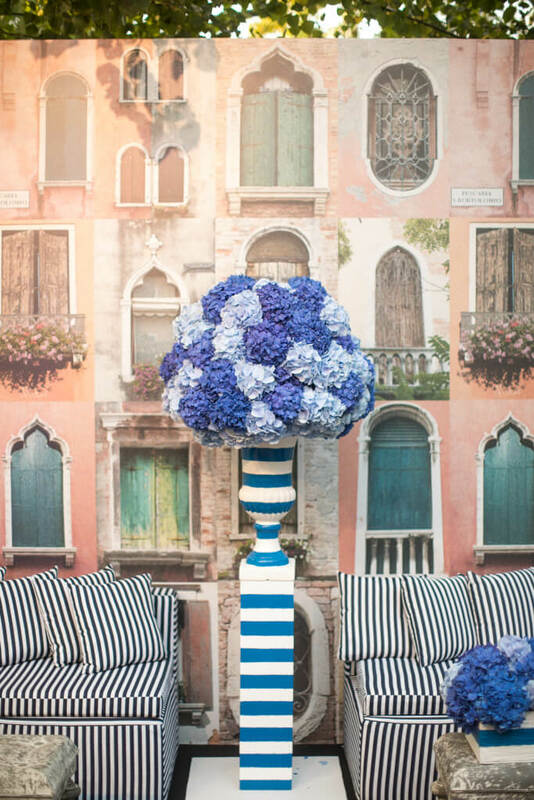 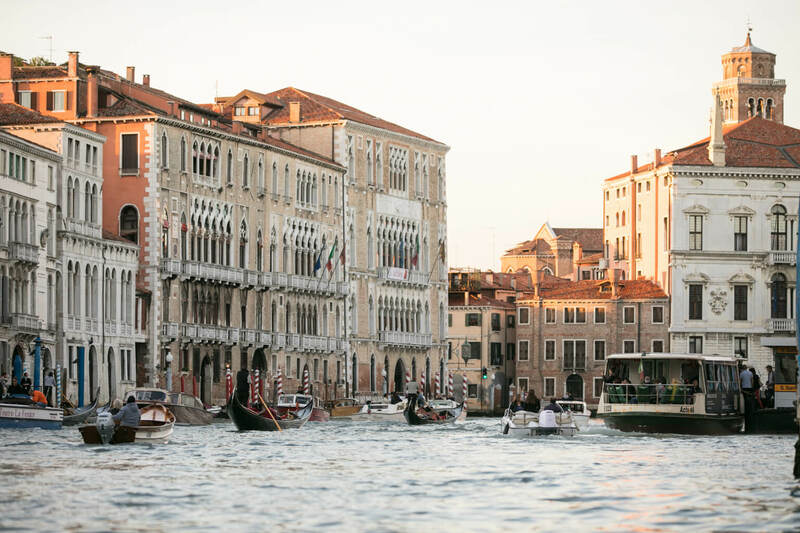 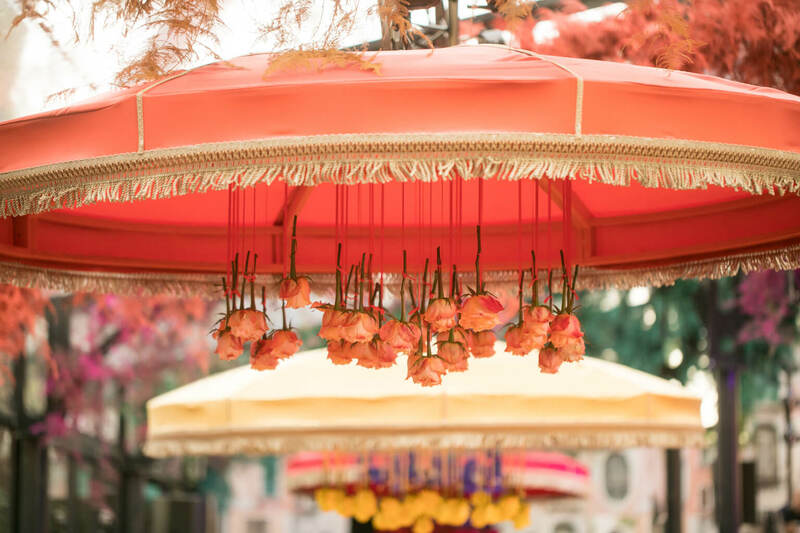 Guests arrived by boat through the city’s picturesque canals for the welcome event on the main stage decorated with bold stripes and peach-hued florals, which was also the site for additional speaking engagements throughout the event. 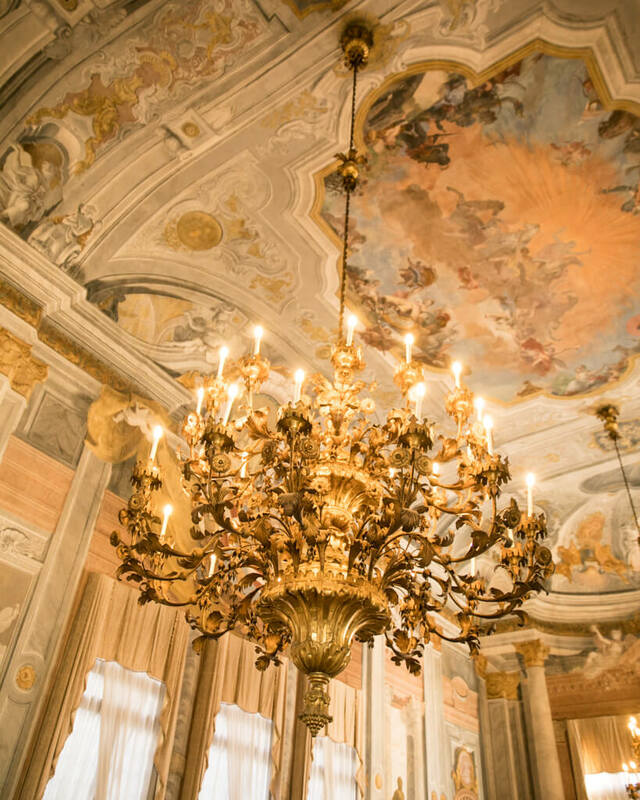 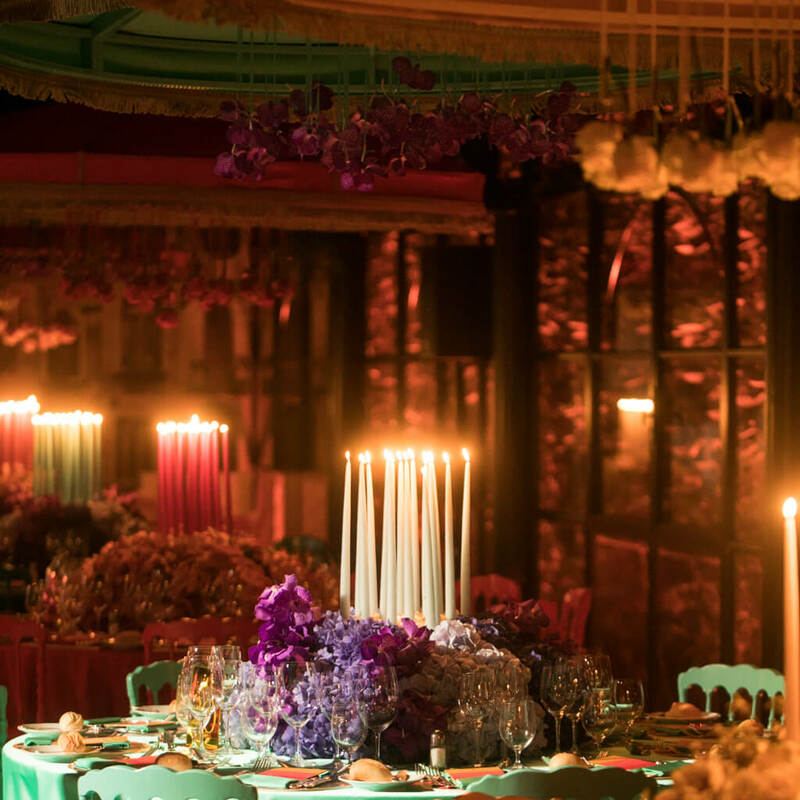 A luxurious party followed in an exquisite ballroom with hand-painted ceilings, impressive chandeliers, and sumptuous décor. 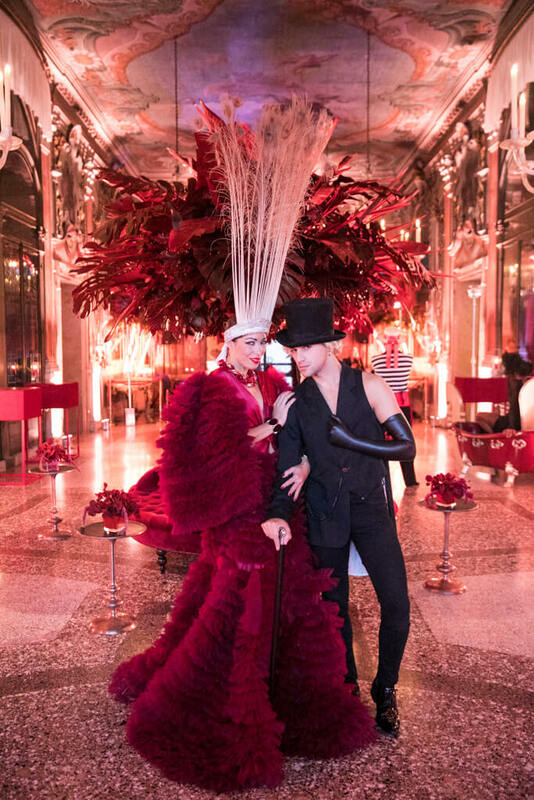 Live models representing a bygone era of luxury added to the celebration, and performances by violinists dressed in ball gowns and acrobatic performers were enjoyed as well as delectable desserts. 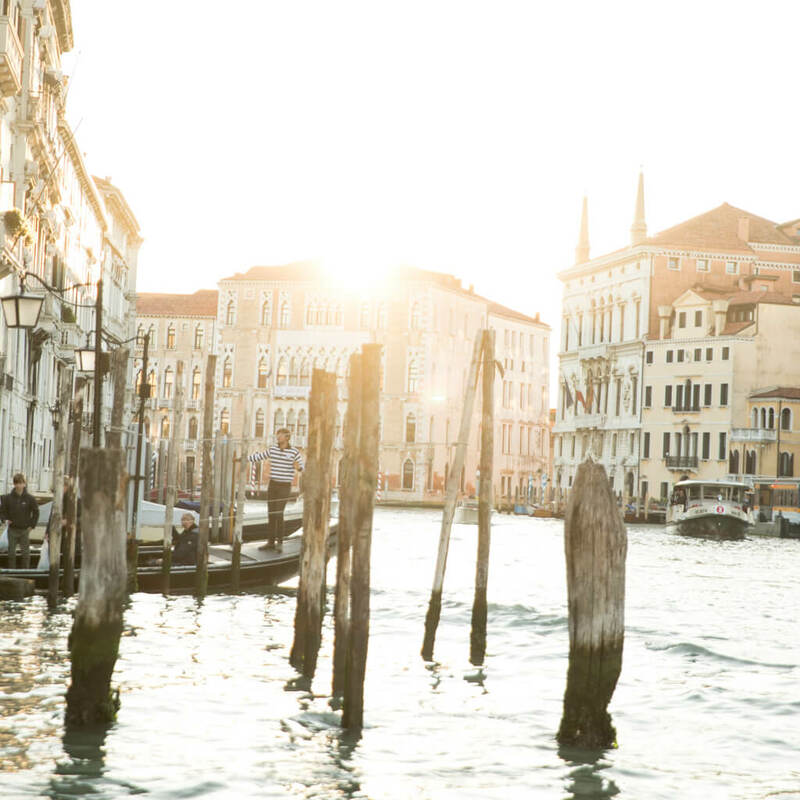 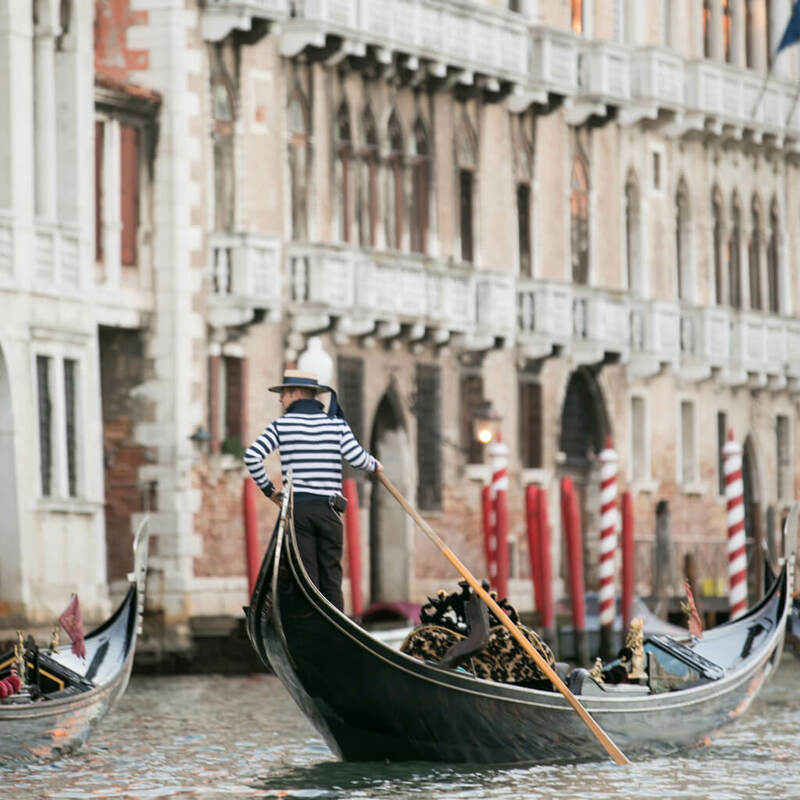 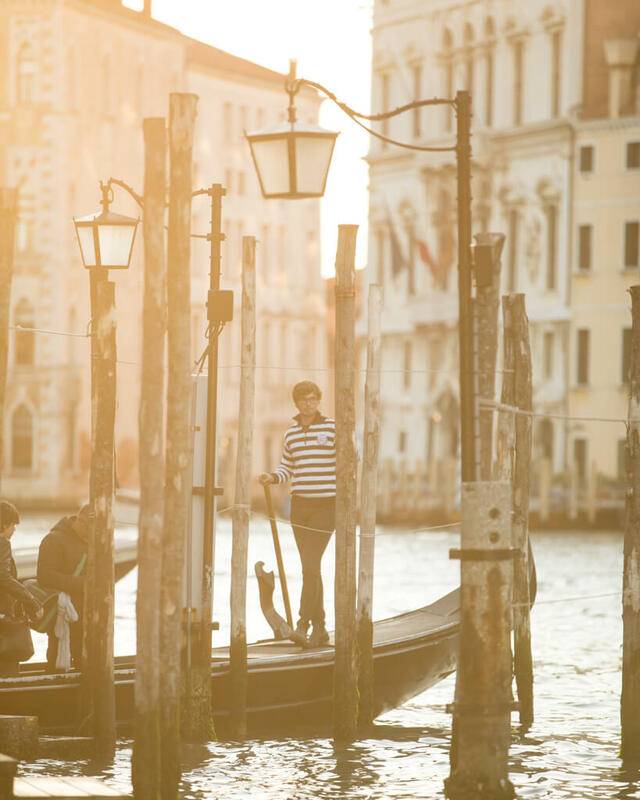 The next day included a tour of the city by gondola and a reception at a stunning venue. 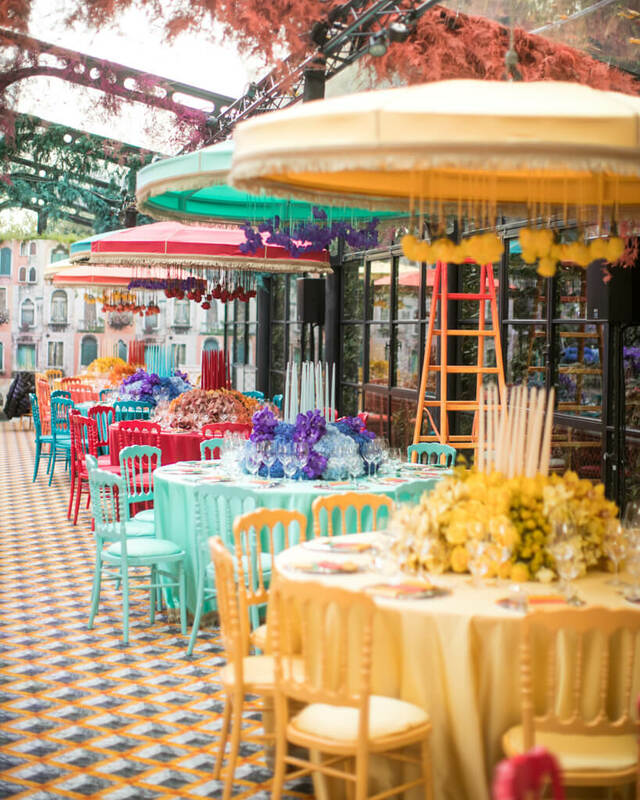 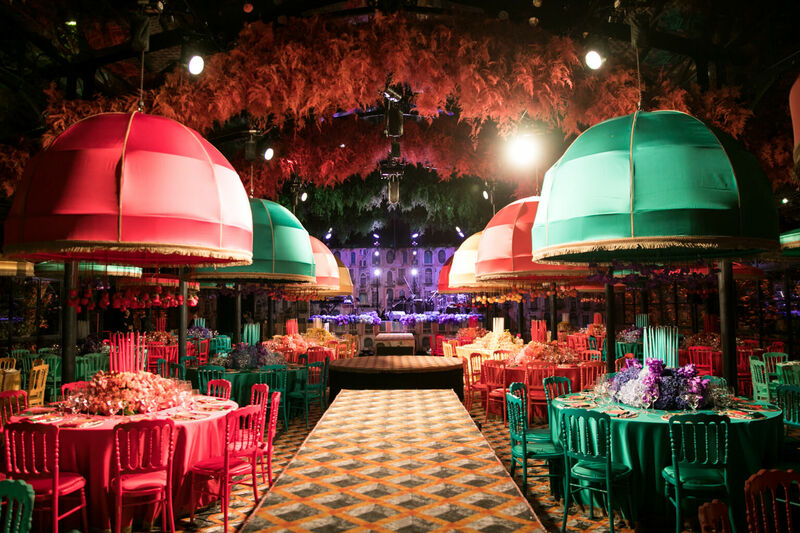 The colorful dinner service featured romantic candlelight and brightly colored tables covered with vintage-inspired umbrellas. 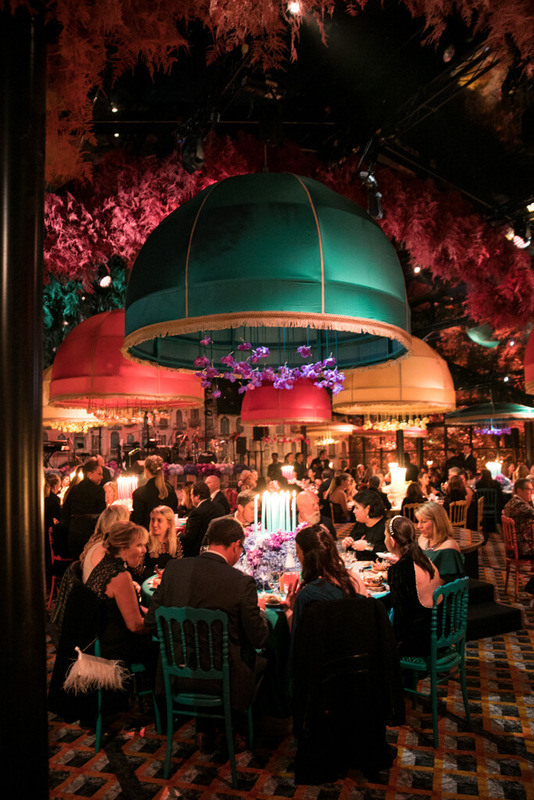 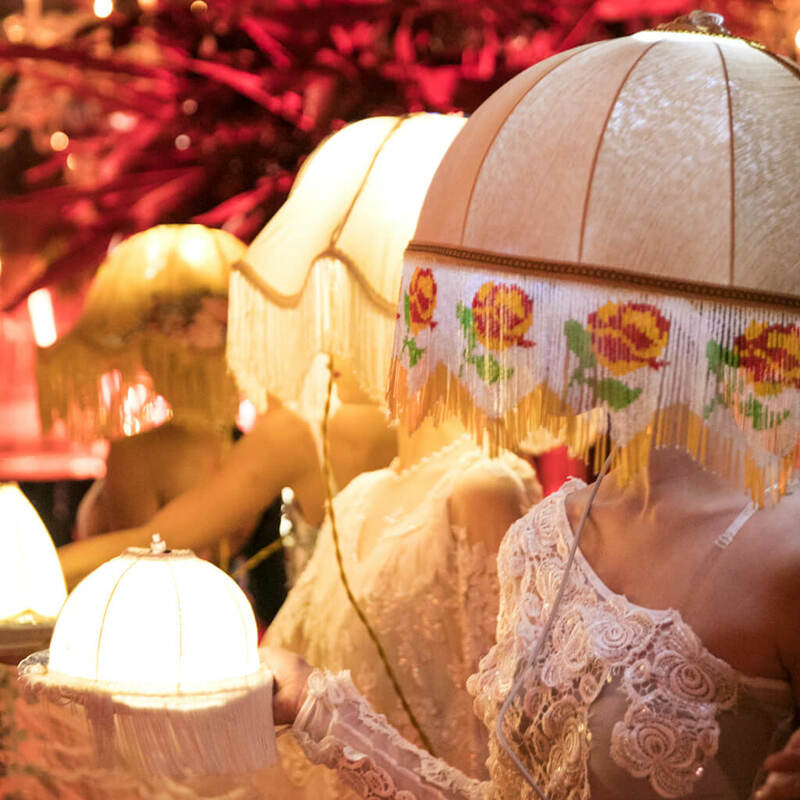 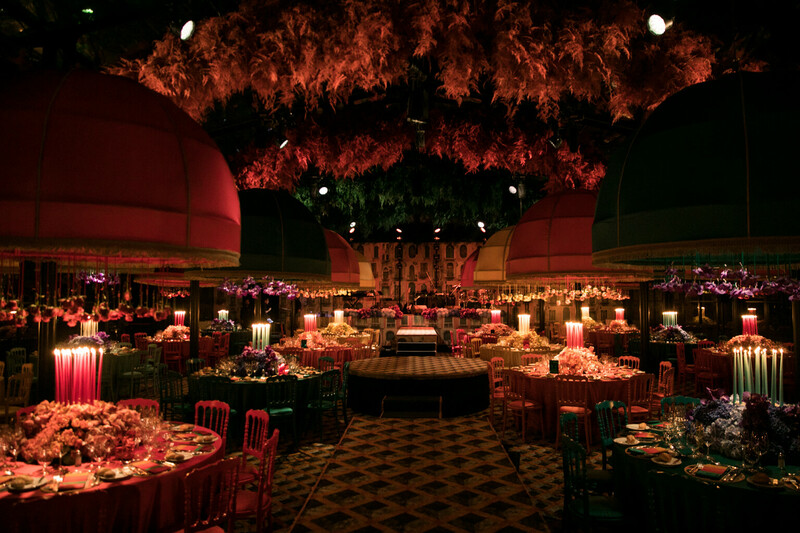 Plenty of spirited conversations, flowing wine, performers in costumes inspired by the Carnevale di Venezia, and acrobatic artists and dancers provided a night to remember for all invitees who had traveled from all across the world for the festivities.